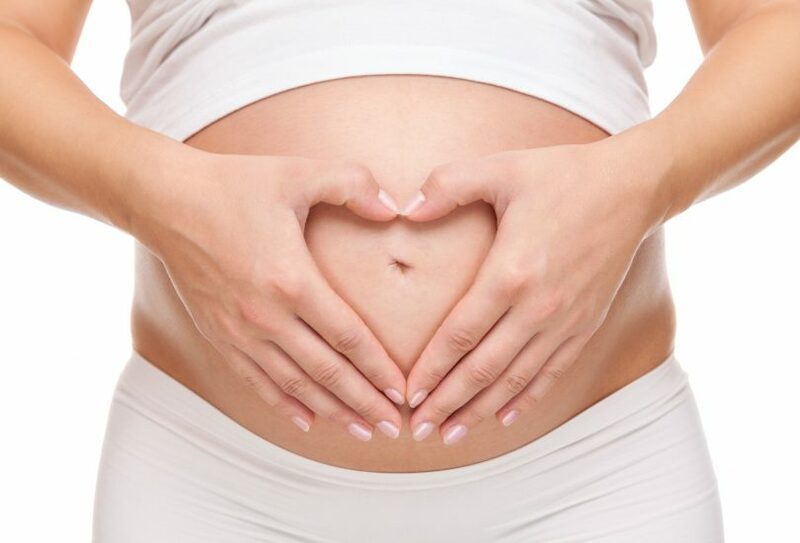 Are you looking for ways to ensure a healthy pregnancy? The diet you maintain during any stage of your pregnancy can profoundly impact your future newborn’s health. It’s essential to give your baby the nutrients needed for proper development and a safe delivery. Many soon-to-be mothers find it difficult, however, to maintain a balanced diet in addition to keeping those other cravings in line. It is possible to satisfy your cravings and nurture your newborn at the same time! In this post, we’ll provide the pointers you need for crafting a healthy pregnancy diet. Read on for some delicious insight! The most healthy pregnancy diet will be one you undertake for the right reasons. Pregnancy, unfortunately, is not a time for losing weight or restricting caloric intake as most traditional “diets” entail. In fact, it’s advisable to save your weight loss goals for after your baby’s delivery. Trying to lose weight or cut back on food intake can compromise your newborn’s development and even lead to health complications down the road. If you believe you are in a position in which your weight may harm your baby’s health, consult your physician. Otherwise, take a moment to identify your reasons for crafting your healthy pregnancy diet. Do you want to ensure a safe delivery? Are you wanting to give your baby the right nutrients for early development? Your pregnancy diet is certainly about your health. But it is also about your future baby’s. Keep both in mind as you create your diet plan. In general, a healthy pregnancy diet involves a higher caloric intake than your standard intake. Most physicians advise that you consume an additional 200 to 300 calories a day during all stages of a pregnancy. Some women don’t like the idea of counting calories while they are pregnant. Certainly, counting calories can take up a lot of time and energy. Simply think about eating a few extra servings of a certain food group on a daily basis. Pregnant women, in general, should consume at least 70mg of Vitamin C a day. Vitamin C is essential in protecting your immune system and preventing cellular damage. What’s more, this vitamin can promote healthy collagen production in your newborn. Collagen is an essential component of tendons, skin, ligaments, and more. It’s possible to take Vitamin C supplements during pregnancy or consume this vitamin via daily servings of fruits and vegetables. A healthy pregnancy diet should also incorporate high amounts of folic acid. Folic acid is critical in preventing neural and spinal disorders in infants. You can acquire this nutrient through fruit and vegetable consumption, particularly in leafy greens like kale and collards. Calcium is a building block for young bones. Craft your healthy pregnancy diet around a firm foundation of calcium. Physicians recommend at least 1000mg of calcium a day for pregnant women. Most dairy products have high amounts of calcium in them, but you can also get calcium through certain vegetables and seafood. Protein is another principal building block for little ones. It can promote the development and function of young organs and give you the energy you need to move about the day. Most meats have high levels of proteins, particularly leaner meats. Opt for a healthy intake of beef, chicken, turkey, and/or fish. You can also get high amounts of protein by eating lentils, beans, and even spinach. Pregnant women should incorporate at least three servings of substantial protein in their diet on a daily basis. Many women experience powerful cravings for specific foods during their pregnancy. Sometimes these foods are healthier than others. Some physicians may recommend that pregnant women always indulge these cravings–they can be, after all, a signal of what your baby is needing. Others may caution women against cravings. This is especially the case if your cravings are for foods high in processed sugars or fats. The best way to respond confidently to a craving is to understand it. When you feel a craving emerging, take a few deep breaths. Ask yourself if the craving is emotional or if it truly is physical. If you do find yourself craving something sweet, reach for something that can give your baby nutrients, such as a handful of dried cranberries or sliced peaches. Processed foods often contain a lot of unknown chemicals or highly-processed sugars. These ingredients can have a variety of effects on your health–and your baby’s. Processed foods can carry bacteria, instigate digestive issues like constipation, and lead to unhealthy weight gain. They can also negatively influence a newborn’s genetics. It can be difficult to avoid processed foods, especially because most of these foods are quick and easy to obtain. However, try to replace your usual intake of processed items with foods that are organic and have fewer ingredients. Fat gets a bad rap in most diet circles, but it is critical to a healthy pregnancy diet. It’s important to consume a variety of healthy fats during the day to promote brain function and protein building in your infant’s body. Healthy fats include those from nuts, avocados, certain oils, eggs, and even cheese. These products are full of different fatty acids and other key nutrients, like potassium and fiber. It is possible to maintain a healthy pregnancy diet that can help you feel your best on a daily basis and optimize your infant’s development. Your diet should have a solid foundation of calcium, protein, and folic acid intake. In general, pregnant women should consume more calories than they usually do to support their infant’s needs. Make sure you develop your diet for the right reasons, understand cravings, and avoid harmful processed foods. Pregnancy Health is your leading online resource for navigating pregnancy at any stage of the journey. Read more about pregnancy nutrition here!